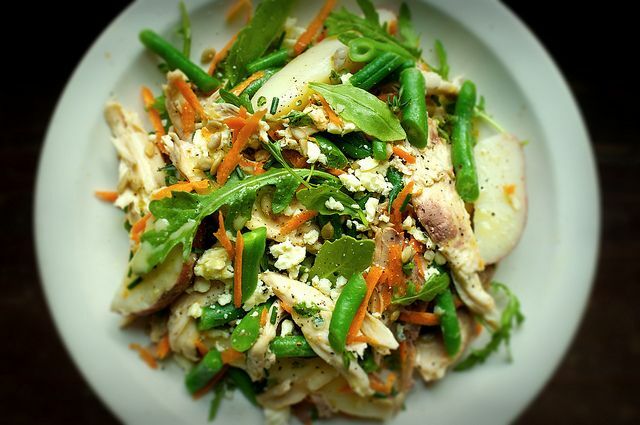 Today: A chicken salad substantial enough to keep you satisfied long after dinner, plus 3 tips for ingredient preparation that will make cooking the week ahead much, much easier. Look at the three lazy beasts lying on the cool concrete floor of the garage and you might think it's the dog days of summer. If I'm in need of another sign, I don't look any further than the Indiana state fair, which starts this week. The dog day heat always coincides with the fair but not today, and maybe not this year. Of the three dogs lying there, not one so much as lifts an ear as I walk by. It has been a good summer, hardly hot at all, with just the right amount of rain. 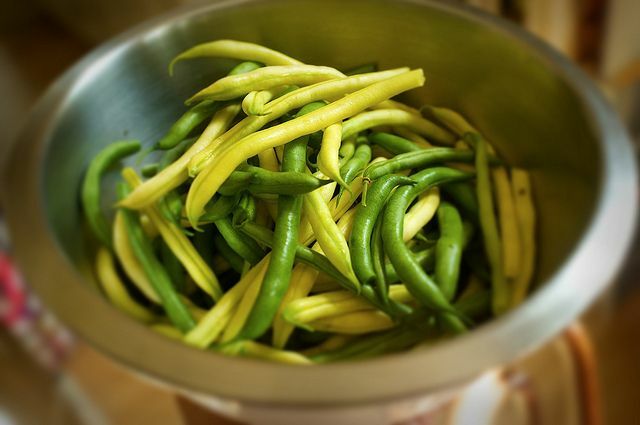 The garden is going gangbusters: I have a basketful of green beans in my hands right now, and we've come to that moment when we can't give away enough row boat-sized zucchini. The only thing we are short of is chicken, but we're in the midst of raising a second flock for the winter freezer. But today, for some reason, I want to shirk my familial duties and avoid the hot stove, and any other tasks altogether. If I'm going to cook today, it will be in the cool of early morning. At the back door I take off my mud boots, put on flip flops, and head to the kitchen. I need coffee. I fill the teapot with water, put it on the stove, and set up the French press. While I'm waiting for the teapot to heat, I head into the pantry to retrieve a couple of big blanching pots. While I have a minute to spare, I do some light organizing of misplaced pantry goods and forget why I'm there in the first place. The teapot throws a hissy fit and it's not until I'm halfway to the stove that I remember why I even went into the pantry. The girls started back to school today; Lynn began kindergarten. It's been seven years since I haven't had a little one underfoot. This morning the only one talking is the fan, whizzing away in the window. The house is full with cool morning air and quiet. After a cup of coffee, I make it back to the pantry for those pots. I told myself that this year, when both girls are in school, I'm going to set up a routine for myself. This morning I'm going to prep some meals ahead of time. Hopefully, I'll get more done in less time and maybe make a little time for myself. 1. Big pot blanching: This is important enough that in The French Laundry Cookbook, Chef Thomas Keller devotes the entirety of page 58 to the process. It's mostly for green vegetables or veggies like cauliflower or white asparagus (while they're white they will still benefit from blanching). 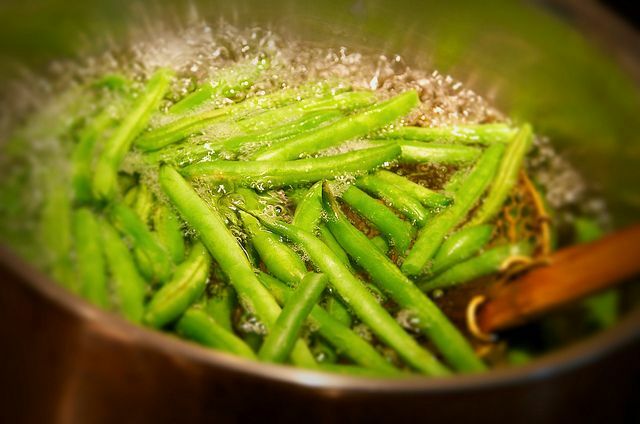 The idea of big pot blanching is that you bring a large pot of heavily salted water to a rapid boil. When you drop the green vegetables into the pot, the water should never stop boiling. The salt and heat set the color of the vegetables, keeping them vibrant, while still allowing you to cook green veggies until tender. 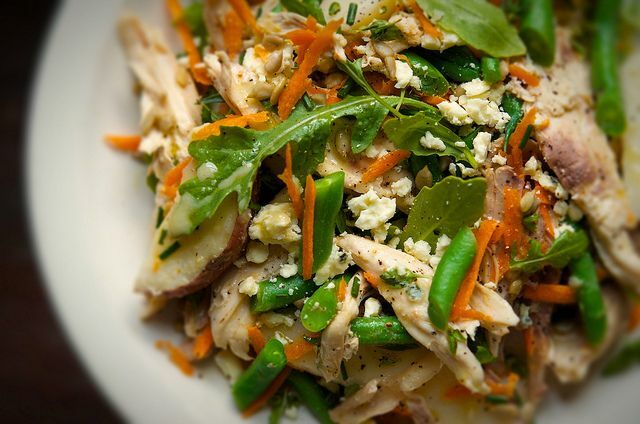 It also uniformly seasons your vegetables. Chef Keller calls for a cup of kosher salt to a gallon of water. Personally, I find that excessive for the home cook and I have found 1/4 cup of salt to a gallon of water to be sufficient. With most vegetables you need to have an ice bath ready to shock (cool very quickly) the item being cooked in order to stop the cooking as quickly as possible. An ice bath is nothing more than a large bowl filled with ice and cold water. For a large quantity of vegetables, you might have to add more ice. 2. Boiling: When you boil a potato with the skin on, you should cook it until a knife slips almost to the middle but experiences some resistance near the center. Drain the potatoes into a colander. Do not run water over them. This lets the potatoes become tender through carry-over cooking. 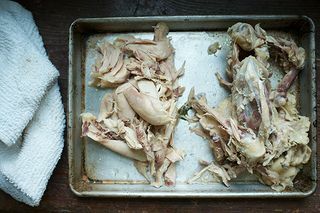 If you were to run hot water over the potatoes, the skins would peel off like paint. Do not halve or quarter the potatoes until you are ready to use them. 3. 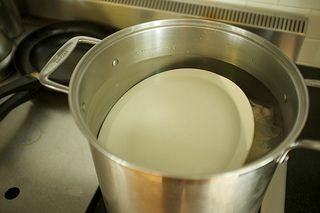 Poaching: There are lots of ways to poach something, but one of my favorite ways is to poach it in its own juices. This always reminds me of sous vide, which is sort of the same thing but without all the fancy equipment. 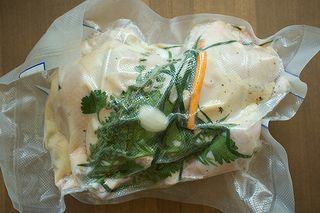 Basically, you'll want to poach in vacuum-sealed freezer bags (which are not the same as regular Ziploc bags, though Ziploc does make vacuum-sealed bags, too). I have also accomplished the same thing by wrapping a chicken in two layers of plastic wrap followed by a layer of foil. It holds out the water and keeps in the juices. 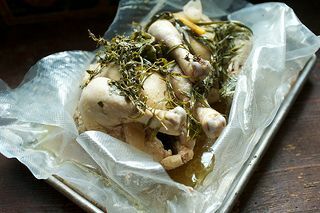 Depending on what you're poaching, it may be a good idea to completely submerge the item (as is the case wth a whole chicken). I simply place a heavy, heat-proof plate on top to keep things submerged. Then don't use plastic wrap. I know how you felt, the first time I dropped our youngest off at kindergarten, I kept getting up to see why the house was so quite, then I would remember, I was alone. It's like when they fall asleep in the car seat and you have that split second panic attack that you somehow leaving them behind.